HO-HO-KUS, N.J. - Murder charges have been filed against a northern New Jersey man who allegedly stabbed and beat his mother to death. Bergen County Prosecutor John Molinelli said bail was set at $2 million for 24-year-old Nicholas Piotti, of Ho-Ho-Kus, who was taken into custody early Monday and was then taken to a hospital. Molinelli told The Bergen Record that Piotti had no "physical issues," but further details were not disclosed. Molinelli said the suspect's 63-year-old mother, Karen Piotti, suffered multiple stab wounds and beating trauma in the attack. Her body was found around 3:30 a.m. Monday after police followed through on an aborted 911 call. A possible motive for the slaying has not been disclosed. 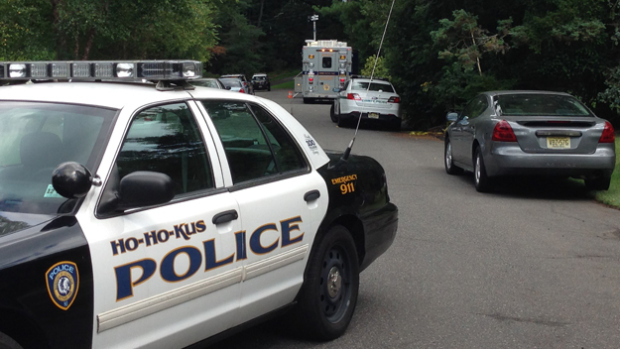 Ho-Ho-Kus is an upscale community that rarely sees violent crime, according to the paper. A neighbor told CBS New York that the incident was a tragedy, and said that now the victim's husband has lost his whole family. Friends and neighbors told The Record the suspect was "friendly." It was not known if Piotti has retained an attorney. His first court appearance was scheduled for Wednesday.